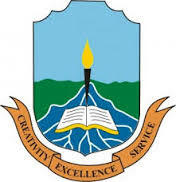 The Niger Delta University, NDU Indefinitely Suspends all Students Union Activities and Associations in Campus Till Further Notice. Following the Unruly behavior of of Students on Campus and the Subsequent Suspension of academic activities. The Senate at its 155th Meeting held on Thursday April 26th, 2018 pronounced the suspension of all Students Union activities, associations at both departmental and Faculty levels in the University till further notice. In other news, The NDU chapter of The Joint Action Committee, JAC, which comprised Senior Staff Association of Nigerian Universities, SSANU, Non Academic Staff Union of Educational Institutions, NASU, and National Association of Academic Technologists, NAAT, has suspended its indefinate strike on Monday 23rd April, 2018. This was made known at an emergency congress of the association, where they agreed to suspend the labour action based Government and the Varsity's Council compliance to some of its demand. The Executive thanked congress for their unity and encourage them as they resume work.